Whilst many hotels do offer some stunning beach front ceremony options, they may not suit everyone. If you are budgeting but don’t want to compromise on marrying by the sea, we have some locations not connected to any hotels; thus avoiding venue hire fees. There is some beautiful beach wedding ceremony location options now available. 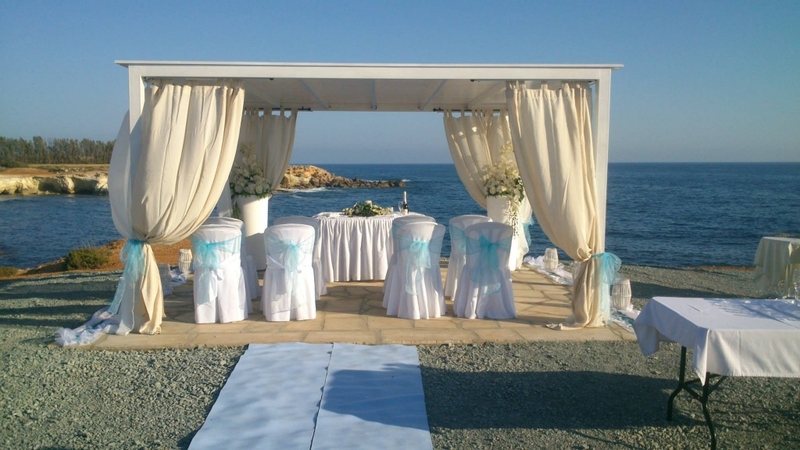 The marvellous beachfront of Pafos and the Coral Beach areas offers quite a few beaches which we can arrange accordingly for your wedding. Bonus is that included in the cost is an iron arch decorated in silk flowers, 20 white covered chairs and ceremony table. 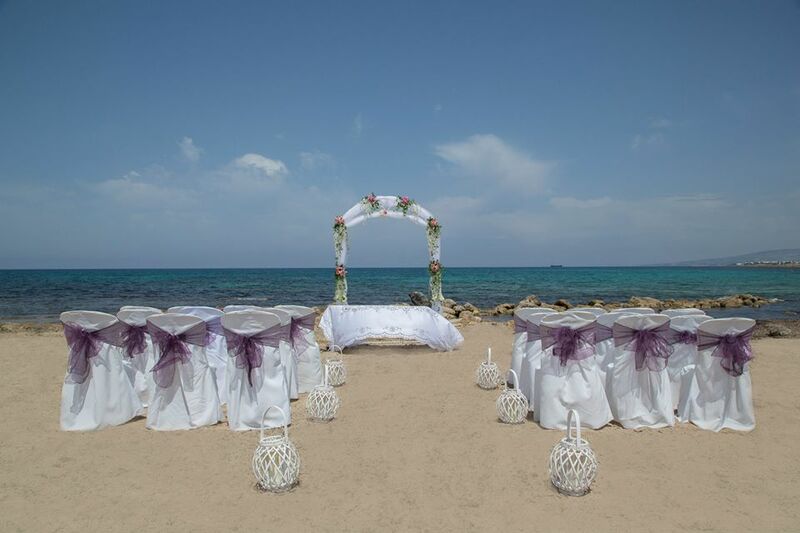 Pick one of our beaches and celebrate a truly dream wedding overlooking the Mediterranean Sea. Sea-Caves, Sunset Point and Lighthouse Spot are two of the most popular options. Ceremonies take place between 2 pm and 6 pm. These are affordable wedding locations that work well with having a reception at a taverna or local restaurant to follow the ceremony; allowing much more flexibility to the wedding couple.